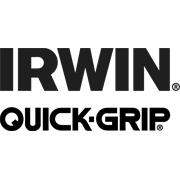 The IRWIN QUICK-GRIP Mini One-Handed Bar Clamps are perfect for clamping smaller projects or for working in confined spaces. The reinforced resin body and hardened steel bar ensure strength and durability. 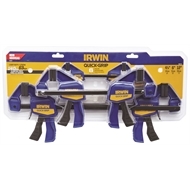 Furthermore, the IRWIN QUICK-GRIP Micro One-handed Bar Clamps utilize the same clamping mechanism as all QUICK-GRIP clamps, but is very compact in size. This is the ideal clamp for all clamping and holding needs on small craft projects. 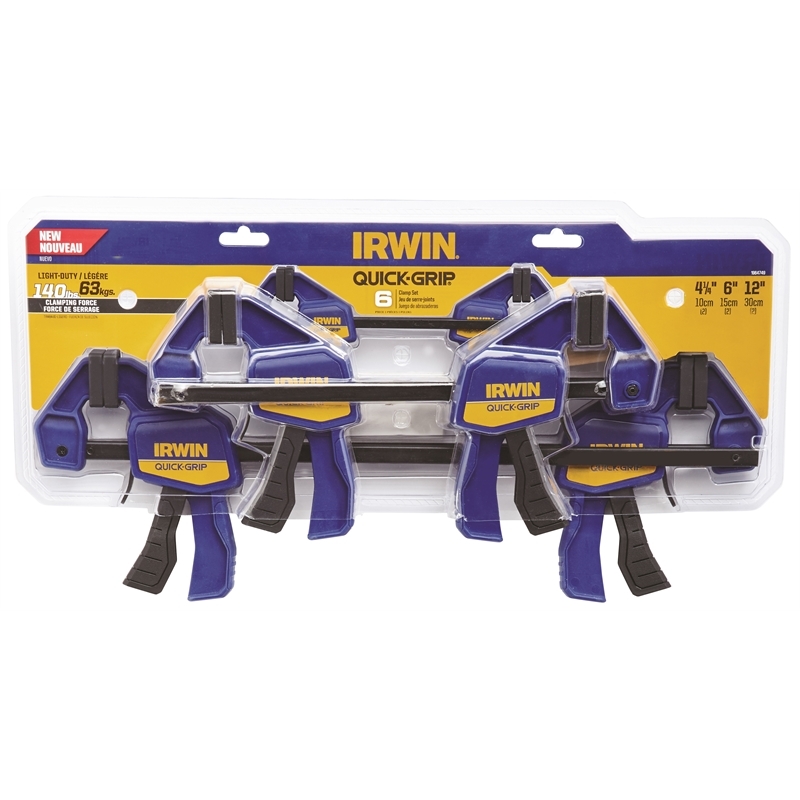 This set includes: 2x IRWIN Quick-Grip Micro Bar Clamps, 2x IRWIN Quick-Grip 15cm Mini Bar Clamps & 2x IRWIN Quick-Grip 30cm Mini Bar Clamps.